Barbadian author, Dr. Sharon Marshall, presenting her book 'Tell My Mother I Gone to Cuba' at the Cuban Research Institute in Miami. 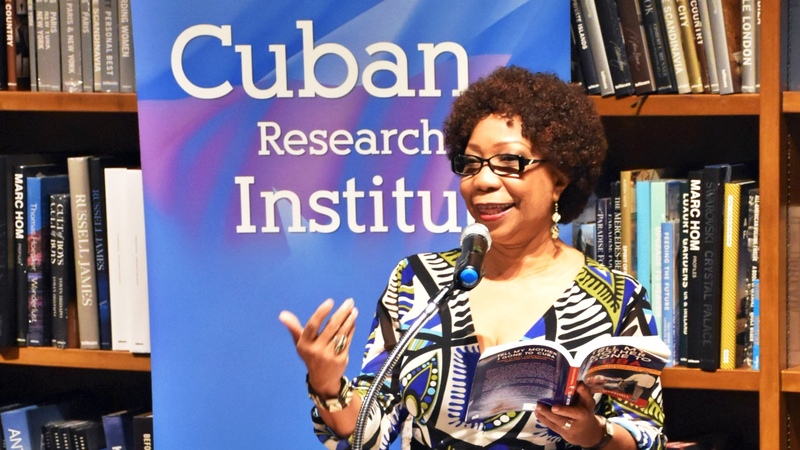 The Cuban Research Institute (CRI) at Florida International University (FIU) in Miami organised a presentation of the book Tell My Mother I Gone to Cuba: Stories of Early Twentieth-Century Migration from Barbados on Wednesday, September 27. The CRI is a freestanding entity within FIU's Steven J. Green School of International and Public Affairs. 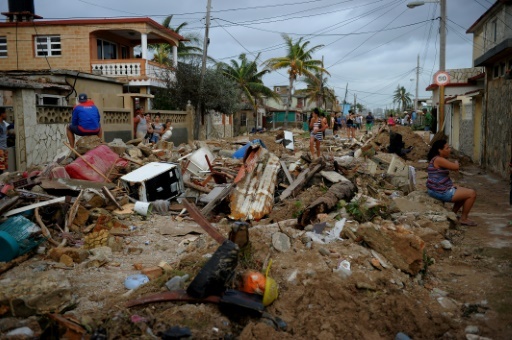 It is the premier centre in the United States of America for academic research and public programmes on Cuban and Cuban-American issues. Tell My Mother I Gone to Cuba by Barbadian author, Dr. Sharon Marshall, chronicles the experiences of Barbadian and other British West Indians who migrated to Cuba to work in that country’s sugar industry. In his introductory remarks, Director of the Institute, Dr. Jorge Duany, stated that the period of the arrival of the West Indians and immigrants from elsewhere was “a critical moment for consolidating of Cuban identity.” He added that most studies have focussed on Jamaican and Haitian immigration, and this work on Barbadian migration is a welcome addition to the literature. Dr Sharon Marshall signs a copy of her book for Director of the Cuban Research Institute, Dr. Jorge Duany. 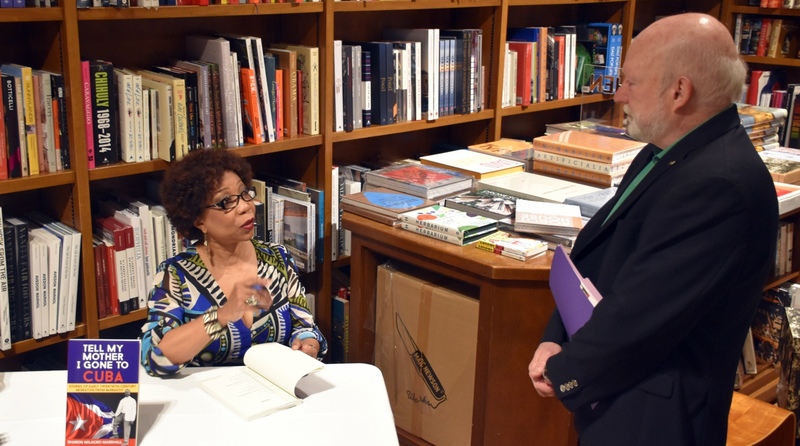 The event was co-sponsored by the Kimberly Green Latin American and Caribbean Center and the African and African Diaspora Studies Program at FIU, and held at Books & Books Coral Gables. 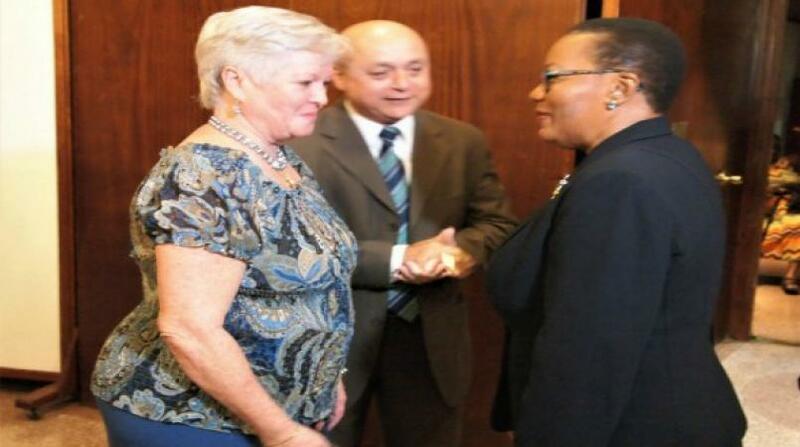 Deputy Consul General of Barbados in Miami, Ms. Gaile Thompson, and Consul, Mr. Joseph Hunte, were in attendance. Tell My Mother I Gone to Cuba was a finalist in the 2016 Foreward INDIES Book of the Year awards. It is published by the University of the West Indies Press, and is available from the UWI Press Bookstore in Jamaica. 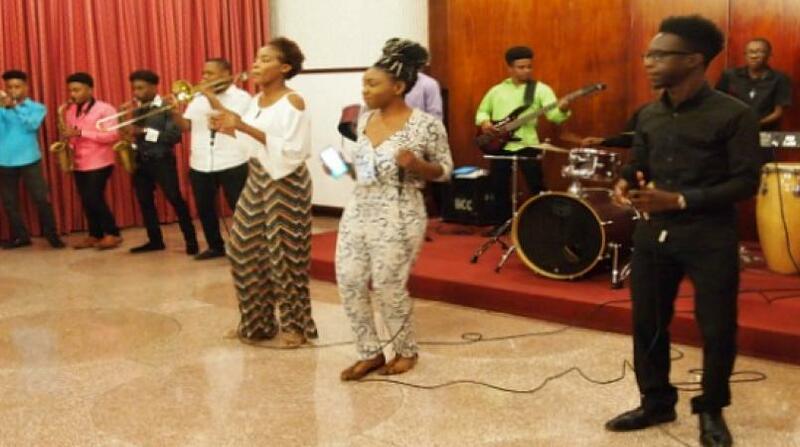 In Barbados, the book is sold at the UWI Bookshop at the Cave Hill campus, Cloister Bookstore, the shop at the Barbados Museum, and from the author. It is also available online at Amazon.com. 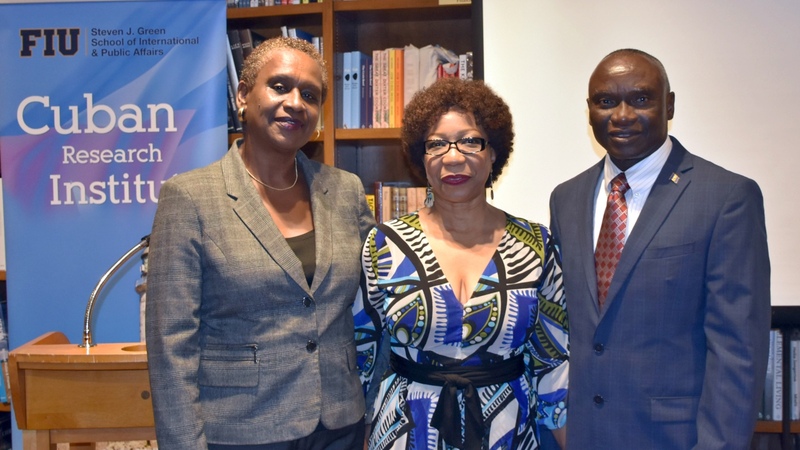 Author Dr Sharon Marshall with Deputy Consul General of Barbados in Miami, Ms. Gaile Thompson, and Consul, Mr. Joseph Hunte.